President Karen Gross on ten ways to make colleges more friendly to veterans. UNLV's Psychology and Lawyering Conference webcasts are posted. Here's the site, and here's our panel's session. The Akron Law Review ethics symposium issue is out. See here. I was there for the symposium, and it was wonderful from start to finish. My article, The Client Who Did Too Much, is here. 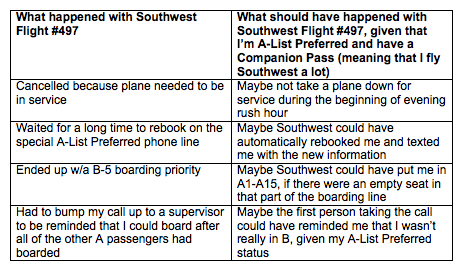 Normally, Southwest Airlines is awesome at customer service (UPDATED). UPDATE: Verity Kugelmann at Southwest reached out to me, investigated, and gave me a much better feeling about Southwest in general. Thanks, Verity, and thanks, Southwest! My salute to George Carlin's partial score schtick, in light of the upcoming USNWR rankings. Boyd School of Law: ____. The Dewey indictments and cognitive biases (updated). According to the complaint, Mr. Sanders emailed Dewey's then chief operating officer on Dec. 4, 2008, expressing concern about the firm's cash-flow problems. "I don't want to cook the books anymore," Mr. Sanders allegedly wrote in the message. "We need to stop doing that." Why lawyers (and, for that matter, law professors) persist in emailing proof of unsavory words or deeds is a matter involving social science as much as it involves issues of character. Why might partners at a law firm (1) decide to doctor the books or (2) ignore some clear signs of economic distress? I don't know the people who were indicted. But I do know that there are a variety of cognitive biases that can cause very smart people to talk themselves into very dumb decisions. The partners who may have been involved in a fraud and its cover up could have talked themselves into their actions because of a misguided belief that they were protecting the firm (cognitive dissonance). The partners who could have put 2 + 2 together to ask some sharp questions of the law firm management ("why are we paying all of this money to get these laterals, and how can we afford this?") could have been waylaid by both social pressure and the diffusion of responsibility phenomenon. * My point is that we need to watch cases like Dewey to study not the venality of people but the way in which cognitive biases affect their actions. UPDATE (3/10/14): Bernie Burk has a great post over at The Faculty Lounge about the indictments (here). 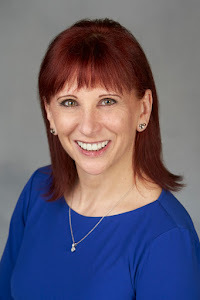 * I discuss Enron and Dewey in a forthcoming article, Nancy B. Rapoport, “Nudging” Better Lawyer Behavior: Using Default Rules and Incentives to Change Behavior in Law Firms, 4 St. Mary’s J. L. Ethics & Malpractice ___ (forthcoming 2014). My latest piece came out in Green Bag. See here. The essay links the original plans for NYU's law school with current issues in legal education.